You know what time it is? 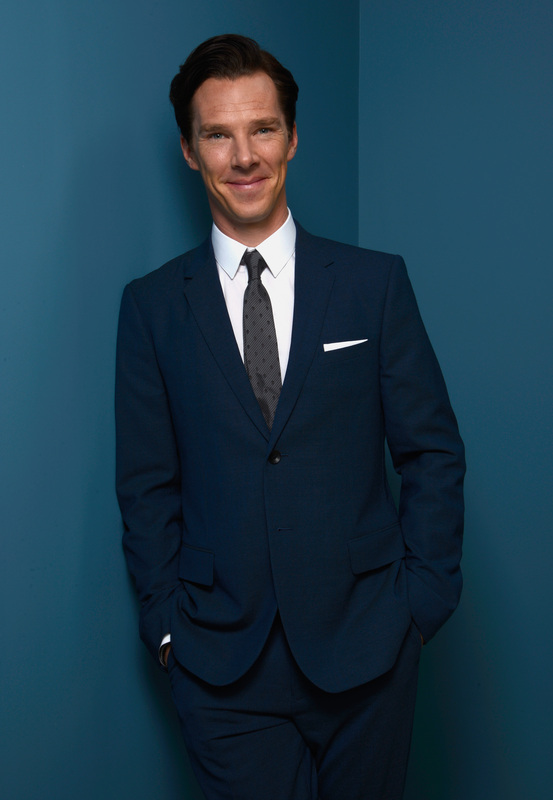 It's that time of the day when we deliver you your daily dose of Benedict Cumberbatch! You are so very welcome. This is one man who has quite the effect on men and women. If you consider yourself a huge Cumberbatch fan aka a Cumberbitch (if you aren't, I have no doubt that will change once you watch Sherlock), then I totally get where the love for this man comes from. First, he's dreamy. Second, that voice of his is able to produce all kinds of chills. Third, his acting is phenomenal. Finally, have you seen his impressions? This man is way above par. If you're friends or are related to someone who is obsessed with Cumberbatch, then you're well aware of how serious their love affair with the man is. Under no circumstances should you ever talk poorly of him — ever. Cumberbitches are not to be messed with, and I'm not joking. Basically, anything The Imitation Game star does is classified as worthy of an Oscar. If you're scared of stepping on Cumberbatch fans' toes, then let me help you. Here are nine things you should never say to a Cumberbatch fan, unless you want them to sick their animal, which is likely named Smaug or Sherlock, on you. Don't worry, you can thank me later. "Should he even be portraying Sherlock Holmes?" Many actors play the well-known detective Sherlock Holmes, so why should we judge Cumberbatch for his portrayal? Also, he was nominated for a Golden Globe and won a 2014 Emmy for his performance. Clearly, he's doing something right. "Isn't he just a wannabe Tom Hiddleston?" Yes, Cumberbatch and Hiddleston are BFFs, but that doesn't mean they're trying to be each other. They are two separate individuals with different talents who just happen to be close friends. "His impersonations aren't really that good." I have a feeling someone would get slapped (and, no, I'm not condoning violence) for saying this. His impressions are spot-on. Have you heard his Alan Rickman? Check it out above. Some might find the fan name Cumberbitches offensive, but most female fans of Cumberbatch enjoy calling themselves this. However, Cumberbatch himself isn't a fan of the name and wouldn't mind seeing a change, "It’s funny, and I’m flattered," he said. "But on a serious note, come on, give yourself more power as women. Don’t just call yourself b****es! I know it was a joke, and more of an empowering thing. The majority of them are smart and savvy and just having fun, but it’s getting out there. It sounds a bit [rude]." Whether you disagree or not with the term, one thing remains certain: his fans truly love him. "I could've played a better Smaug in The Hobbit." For whoever is thinking this, I doubt you could pull of a dragon like Cumberbatch. No one blows fire, flies, or tortures better than Cumberbatch as Smaug. Plus, it's another opportunity for Cumberbatch and Martin Freeman to showcase their Sherlock chemistry! Who doesn't want that? "How dare he try to walk like Beyoncé." OK. No one is Beyoncé, but Cumberbatch's "Crazy In Love" walk really can't be beat. Work it, Benedict! "Wait... is he in Doctor Who?" No, he is in Sherlock! You know the BBC show where he plays the titular character? Also, stop asking. Even Cumberbatch revealed that he turned down the role of the Doctor. "I don't get the whole Cumberbatch/Freeman bromance." There are so many beloved TV bromances, including Cumberbatch and Freeman's Sherlock and Watson, respectively. You'll never change anyone's mind about it. Just deal with it. "His attempt at Mr. Darcy was a major fail." Cumberbatch wet, somewhat half-naked, and walking through a lake as Mr. Darcy from Pride & Prejudice all for a good cause? What's there to complain and argue about here?